Rob Robinette Adds: This mod will remove the hot engine coolant flowing around the throttle body. The coolant is there to keep ice from forming around the throttle butterflies but unless you live in Canada you probably don't need it. With this mod the engine will start fine, but it will idle a little lumpy until the engine warms up. I've never had my car stall even when starting it at temperatures below freezing. 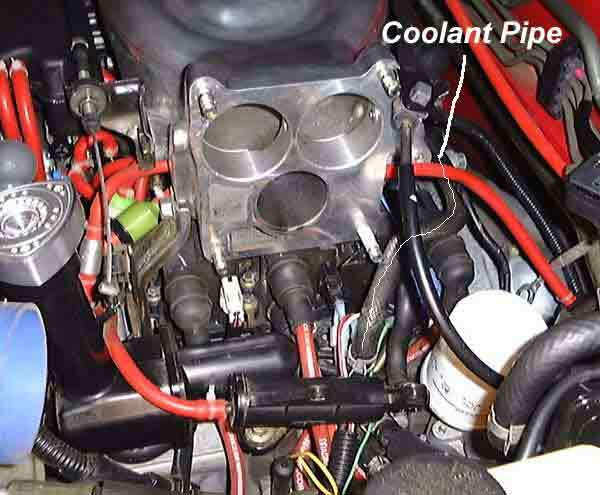 This mod will also simplify the coolant system flow. 1. 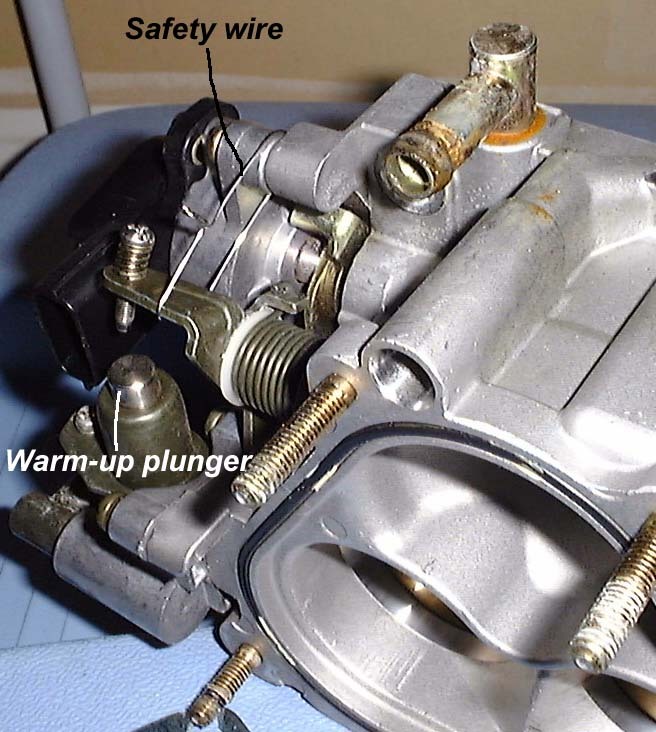 Remove the coolant hose attached to the firewall side of the throttle body (TB). 2. Remove the coolant hose which connects the bottom TB coolant outlet to the coolant hard-pipe between the oil filter and the oil filler spout. 3. The hose which was attached to the top firewall coolant inlet on the TB should now be reattached at the hard-pipe, completing the rerouting. 4. Safety wire the Fast Idle Cam open about halfway. If you open it too much it will interfere with the throttle's ability to fully open. Hold the Fast Idle Cam about halfway and open the throttle and you'll see what will interfere and where to wire the cam. The cam is located on the firewall side of the TB. Note: Failure to wire the Fast Idle Cam open will not allow idle to fall to its normal speed, since the idle cam is actuated by the thermowax rod, which is immersed in the TB coolant stream (it will always think it's cold). 1. Regardless of climatic conditions, sufficient idle warm-up to achieve proper engine operating temperatures before cracking the TB will also provide sufficient heating of the TB to assure thawing. 2. Post-idle air inlet and engine bay ambient temperatures will maintain TB temperatures above freezing. 3. Air inlet temperature is only "MARGINALLY" reduced (at best) by this mod.